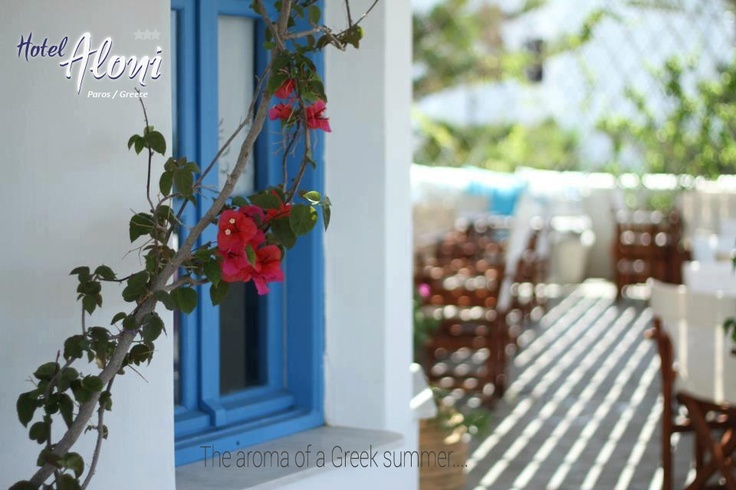 White and Blue Blog for a True Greece Experience: The aroma of a Greek summer! The aroma of a Greek summer! Paros Island in Greece is one of the best choices for vacation in the Cyclades Islands. It is the perfect combination of family oriented, peaceful holidays with a vibrant nightlife to offer a wide variety of experiences. Holidays in Paros mean a beautiful island in the heart of the Aegean with many choices for unforgettable moments in the sunshine. As well as the many sightseeing options and tourist attractions, you will be impressed by the marvellous and beautiful natural environment. Experience a unique ambience in an aromatic atmosphere in Aloni Hotel Paros﻿... Your relaxing holidays will be an unforgettable experience for you and your family..